What Is The Real Story With Retail? Much is being made about the recent spat of retailers filing for bankruptcy or shutting stores. Rating agency and auditors are pressing lenders to understand their potential exposure to loans that may be negatively impacted by store closings. While that makes sense, the bigger question is, is brick and mortar retail really dead? 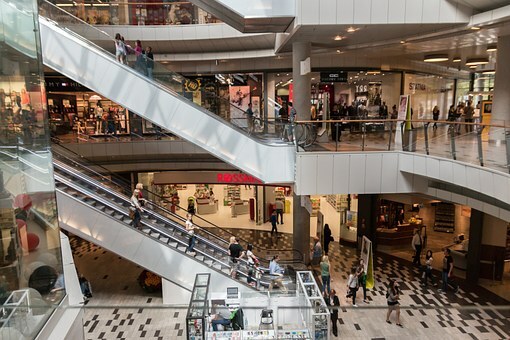 In a recent article in Commercial Property Executive, titled “Don’t Count The Regional Mall Out” Transwestern offers a pretty compelling counterargument to the “malls are dead” assertions. Here is a link to that article. There is no question that there is a fundamental shift occurring in retail. But it seems that every time a retailer has a bad quarter or a bad year financially, they cite on-line sales as the culprit. With on-line sales only accounting for 8 to 9 percent of all retail sales, is on-line really the problem? Perhaps some retailers are failing because they’re poorly run companies that are being out smarted by their rivals. Consumer trends are fickle and what works today may not work next year or next month for that matter. 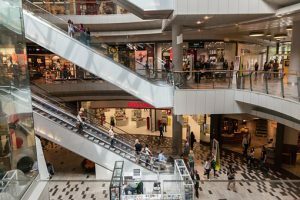 Is retail changing? Yes. Is on-line a component of that change? Yes. Will it eliminate brick and mortar stores all together? No. The greater threat to retail in the US is the strength of the consumer. If consumer confidence falls for what ever reason and spending declines all retail will suffer including on-line. Instead of wringing our hands over on-line retailing, let’s continue to advocate for economic and tax policies that keep the consumer employed and able to spend! Then well run retailers will continue to succeed in both virtual and physical locations. Q10 affiliates continue to finance retail having closed over 100 retail loans so far this year. Yes, deals are more difficult to place than they were six months ago but we have the breadth and depth of relationships with all of the various capital portals to get your deal done. 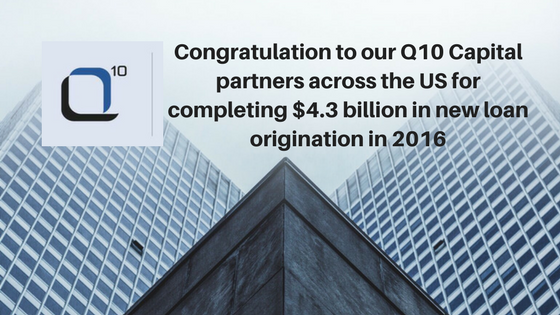 Congratulations to our Q10 Capital partners across the US for completing $4.3 billion in new loan origination in 2016.